Marcy Pusey, CRC, is a clinical counselor, best selling author, wife, and mommy. Marcy’s writing has appeared in newspapers, magazines, blog posts, children’s books, and books for adults internationally. She has been a member of the Society of Children's Book Writers and Illustrators for nearly a decade. 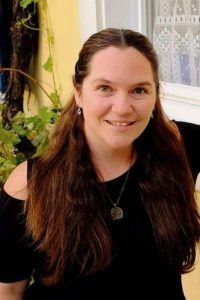 She uses a decade of experience writing and publishing for children to edit, critique, and coach other writers and their work, specializing in children’s literature. She lives in the Black Forest of Germany with her husband and children. Observing and people watching / listening. I get SO many ideas by listening to children interact (my own children included) or to other people talk and share stories. I'm also inspired by a good laugh or a deep thought. If I'm writing for children, I tend to get struck with a fun idea and make note of it (I have MANY ideas on notes!) But if an idea really won't go away, I know I need to sit and write it. I free-write the first draft, getting all my ideas out onto the page. This draft is AWFUL but it's a start. From there I focus on all of the important elements of a good story. I re-write and re-write until it's JUST RIGHT. When I'm writing adult non fiction, I outline. I start with a great big mind-map and turn that into my outline. Then I go through my outline and mind-map each chapter as I write. It shifts and changes as I go, but it's a good structure. AND when I write young adult fiction, I have a VERY loose outline (I'm not sure it even counts). My outline consists of my 5 Milestones and the Plot Arc… so I have a sense of the beginning and the end and some fuzzy middle. I do character interviews to make sure I know them well… and then I start! Yes. And they talk back! Don't quit! The one thing that stands between a published author and an unpublished author is perseverance. Keep learning, keep trying, keep writing. I've also learned that writer's block only exists about 1% of the time we call it so. More often, it's a fear or some emotional resistance that we need to explore to figure out why we're delaying our story. For one author I coached, it was her own childhood experience of bullying. It was getting in the way of her finishing her OWN book with a bullied character. Once she realized it, she dealt with the feelings, and blazed through to publish a best-selling book! I grew up in a very poor family. I was part of the Boys & Girls Club and they often gave us bags of bread or containers of milk to bring home. One day, they gave us the opportunity to earn tickets to the circus by writing a persuasive essay. I think in elementary school, maybe 2nd or 3rd. No one in my family had ever been to a circus. I wrote and wrote, turned it in, grabbed 5 loaves of bread (we were a family of 4, but I wanted to help support us) and headed home with my little sister. WELL, I found out I won! And I was able to treat my whole family to the circus by my "pen." That was a pivotal moment for me to realize that maybe I had a gift that could change my life and the lives of others. That has never left me. When I got older and realize PEOPLE WRITE FOR A LIVING I was thrilled and joined the club! Publishing is definitely always changing. Social media and self-publishing have opened WIDE the doors of possibility for us. ANYONE can write and publish. My friend's 8 year old wrote and published a book. Whether we self-publish or traditionally publish, we need to focus on quality by hiring editors, formatters, professional cover designers, etc, to keep the quality of literature high. Even though some traditional and self-publisher may not value quality as much as quantity, I love that the door of opportunity is open to everyone, and we know longer need to go through the traditional gate-keepers.